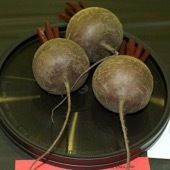 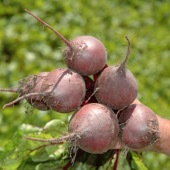 A long pointed smooth bee, Beetroot Cheltenham Greentop as good internal colour, easy to grow and a very heavy cropper. 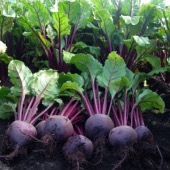 Culture: For August and September sow April. 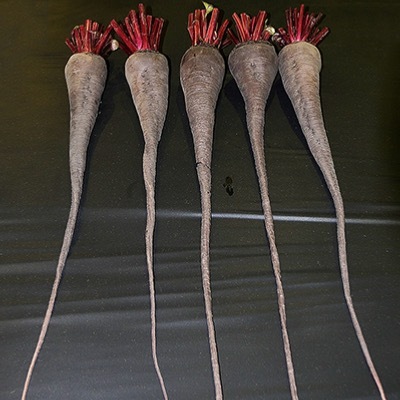 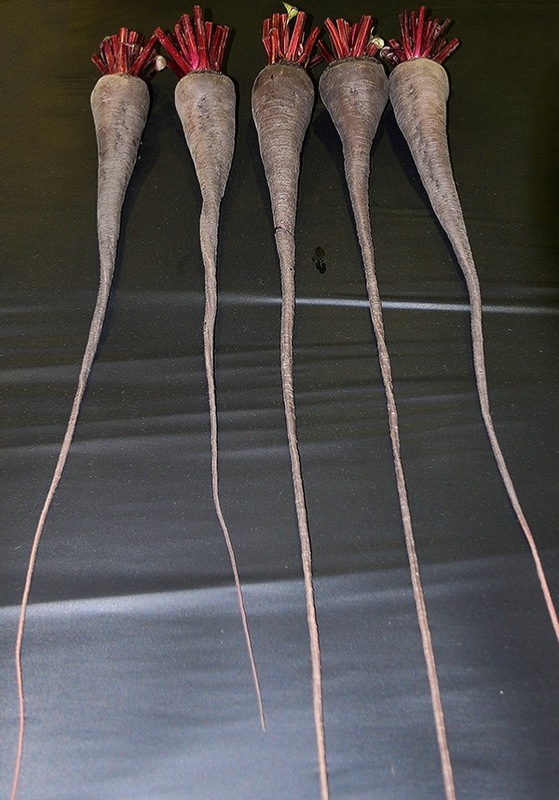 Roots intended for Exhibition need to be treated the same way as you would grow Long Carrots, fill large drums or raised beds with a clean John Innes No 2 soil and grow at 6 inches apart all ways.